Jean Fouquet’s diptych from the Collegiate Church of Notre-Dame in Melun is one of the masterworks of French painting and of fifteenth century art in general. The former left panel, featuring a portrait of the donor Étienne Chevalier and a representation of Saint Stephen, came into the Gemäldegalerie’s collection in 1896. The right panel, depicting the Madonna, has belonged to the Royal Museum of Fine Arts Antwerp since the early nineteenth century. 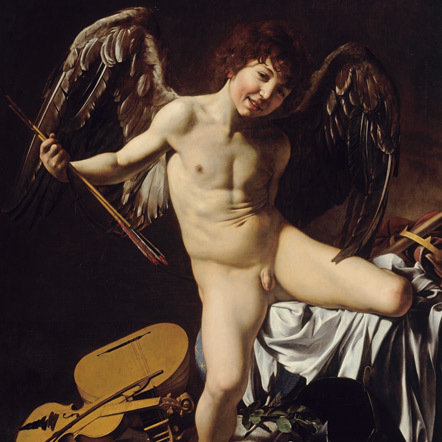 In addition, there is the enamel medallion with a self-portrait of the artist, which once decorated the frame of the diptych and is now preserved in the Louvre. 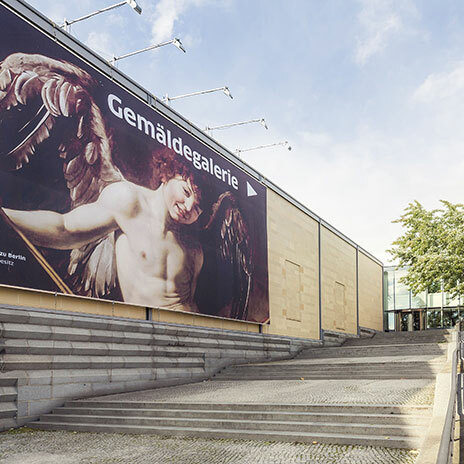 Curated by Stephan Kemperdick, the presentation at Berlin’s Gemäldegalerie will bring all of these fragments together for the first time in 80 years, thereby briefly restoring the lost unity of a great work of art. Planned several times in the last decades but never realised, the reunification of the two large, well-preserved paintings is a sensation and offers viewers an exceptional aesthetic experience. Additional selected works delineate the artistic context of the painter and demonstrate his artistic foundations. First and foremost is the Portrait of the Ferrara Court Jester Gonella from Vienna, whose attribution to Jean Fouquet has been debated for forty years. For the first time ever, it will be shown next to verified major works by Fouquet. In addition, there is the life-size portrait drawing of Guillaume Jouvenel des Ursins, the only preserved sheet that can be attributed to Fouquet without doubt. In addition is a portrait drawing, preserved only as a copy, of Agnès Sorel, the mistress of the French king, whose characteristics one may wish to recognise in the Madonna from the diptych. Additional paintings by Jan van Eyck, Petrus Christus, and Rogier van der Weyden, as well as drawings by Benozzo Gozzoli and Barthélemy d’Eyck, represent the seminal Netherlandish portrait painting of Fouquet’s time, as well as his possible Italian inspirations. A publication will be released for the exhibition, presenting new research on the work and the circumstances of its creation, as well as on the artist himself. Included are essays from eleven international specialists who pursue, among other topics, the donor Étienne Chevalier and his patron-age, Fouquet’s painted architectures, and the artistic sources cited by the painter, as well as the technical characteristics of his paintings and drawings.